Students always wonder how CPR manikins will compare with real victims, especially those who are older or obese. 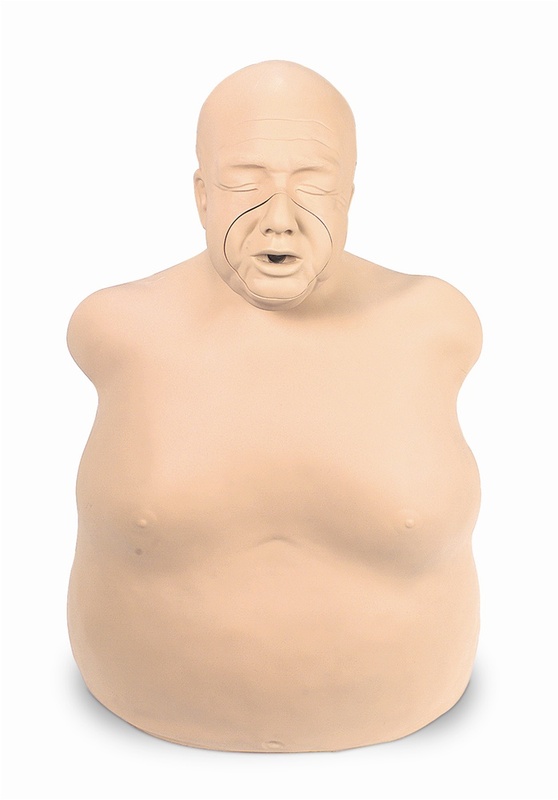 This unique manikin helps to prepare students to respond to a more typical cardiac arrest event with a victim who is elderly and overweight. Also includes three mouth/nose pieces, three disposable lung/airway systems, and a convenient carrying bag. SU-LF03751 Replacement lung/airway system for Fat Old Fred, 24 pack. SU-LF03752 Replacement mouth/nose pieces for Fat Old Fred, 10 pack.